Well, I feel it's time to close down this blog. I've been working on another project, and while it's far from finished, it's ready for me to share with you. I've started another blog, but one that's on a different path from this one. I wanted an outlet for me to express my views on current events, politics, hot topics, etc freely and that is the basis of my new blog. I hope to also find a place to share the occasional post on parenting, homeschooling, marriage, life, etc. but those topics will not be the foundation of my writing. What I'm trying to say is that it is going to be a bit more opinionated than you're used to reading on here, so may not be what you're looking for. Or maybe it'll suit you just fine. I suppose only time will tell. Thank you to those of you who have followed me and read my posts for all this time now. I really appreciate it. Look for my new blog identity out in blogger land! 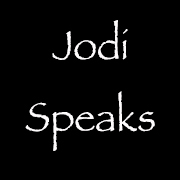 Jodi, I will miss reading your posts. I wish you well.